Matt Weston (Denzel Washington) the CIA's most wanted rogue agent is captured and taken to the safe house. During Frost's interrogation, the safe house is overtaken by mercenaries who want Frost. Weston and Frost escape and must stay out of the gunmen's sight until they can get to another safe house. A young CIA agent is tasked with looking after a fugitive in a safe house. But when the safe house is attacked, he finds himself on the run with his charge. As an action/thriller I would like to give it more than a 6 out of 10, however, the over done (hopefully going out of fashion) 'wobble cam' ruined it for me and my wife. It actually gave us both headaches. Please please, Oliver, next time not so many extreme close ups,and maybe rent a head and tripod set. I know 'wobble cam' has been used previously by this Director Of Photography, i.e. the Bourne trilogy, but enough is enough..It is detracting from the films story line..Now I am getting a 'flag' saying I must use at least 10 lines of text in my review, I wonder what the reason for that is, whatever happened to being brief and succinct.. The movie was pretty good, but I feel as if the story was not developed enough. Maybe I wasn't paying good enough attention, but the mechanics of the work they're doing is pretty difficult to figure out. A little too realistic, a little short on peppy plot lines. I do mean just a little. again, maybe it was just not my day. pros: I felt dirty watching it; like a Mexican vacation dirty. real gritty movie. Ryan Reynolds is pretty good. I feel as if the actors did a great job. 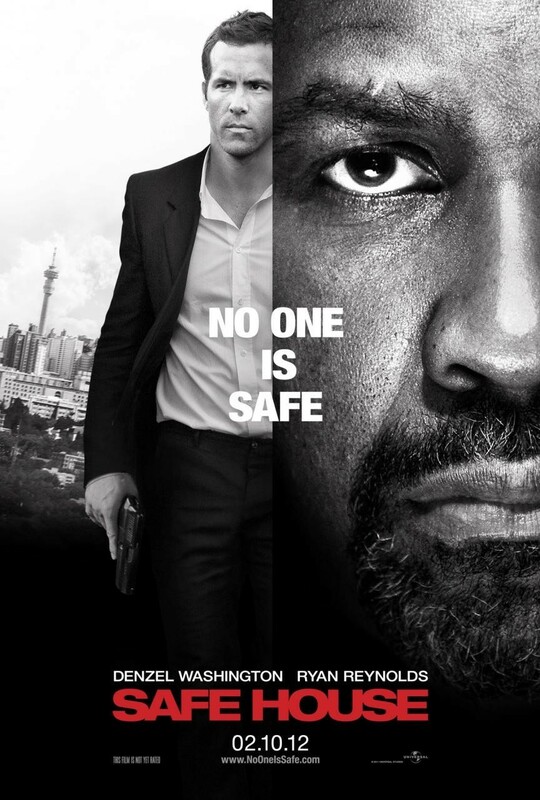 Denzel is brilliant of course, and the movie is worth watching just for his acting skills, amazing. cons: Ryan Reynolds seems a little awkward.. just a little. a little meandering-- watch til the end!!! Too often Washington is made to simply sit and observe -- which is not a fatal mistake because he is such a good actor that even then he's worth watching. Worse, though, at times he's gone altogether. That's not the only flaw in the fairly straightforward thriller, but it's the biggest. "No church in the wild" by Jay-Z & Kanye West feat. Frank Ocean from the album "Watch the Throne"